85% OFF for a limited time! 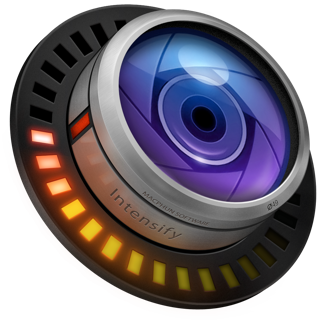 Get the world's most powerful noise reduction software. 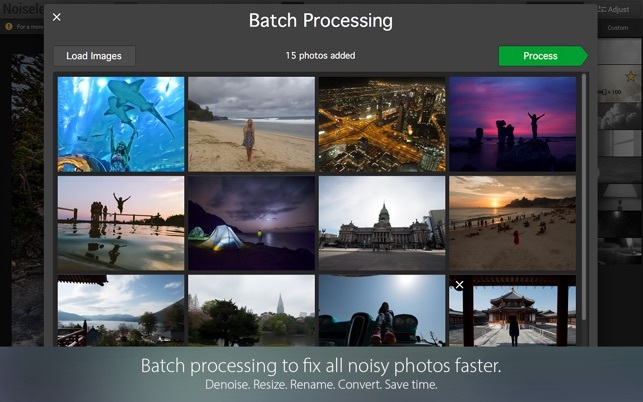 Over 100 000 people use Noiseless to fix their photos. Get professional looking shots no matter your camera and/or shooting conditions. There’s no need to get stuck in the technical details. 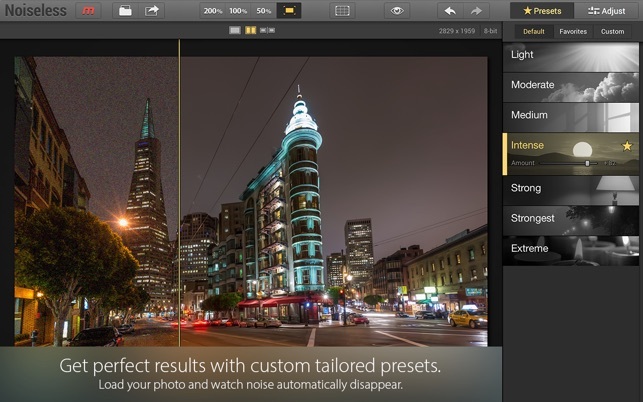 Noiseless’ patented technology automatically detects noise type for every type of photo. We’ve included many one-click presets that suit almost every occasion, type of photo and noise level. You don’t have to be a Pro to get the most out of your best shots. FOR SMARTPHONES AND PRO CAMERAS. Noiseless can improve anything from quick snaps taken on your smartphone to high-precision night shots taken with your DSLr. Action shots, Black and white, styled, Noiseless’ proprietary technology ensures the best results. 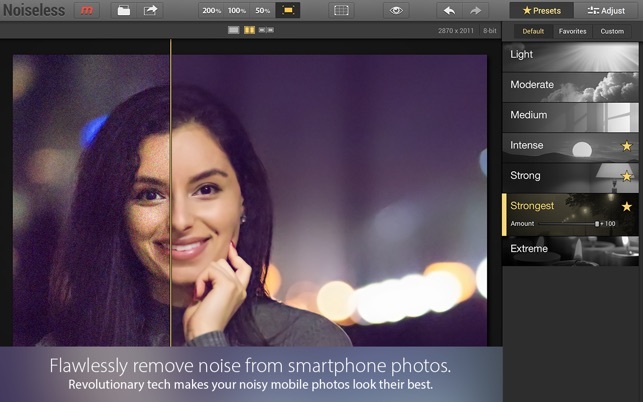 Not only does Noiseless remove noise faster than most other tools, you can also batch-fix photos and use in-built preview and comparison tools to get the results you want quickly and easily. 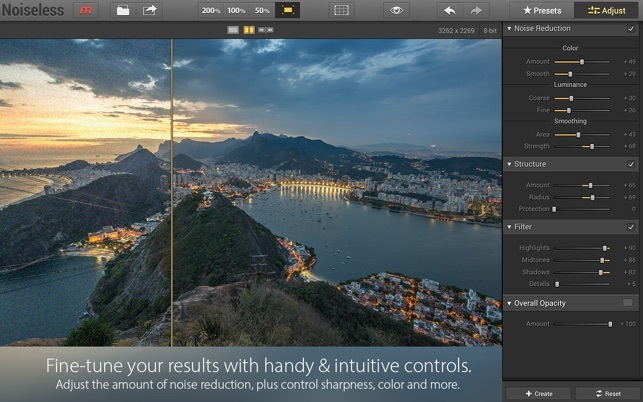 Whether enthusiast or professional, Noiseless supports all popular image formats. 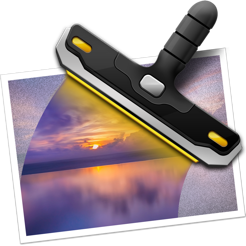 Clean up your photos no matter when, where or which device you took the photo with. Rub the sleep from your eyes with Noiseless, the fastest, most intelligent way to remove noise and grain from your photos. Make your low-light photos look their best. 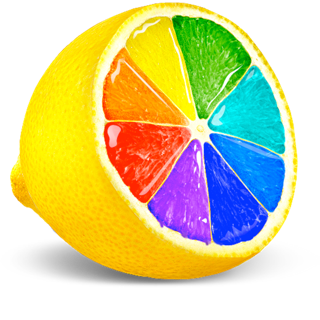 Noiseless now fully supports OS Sierra. Plus we've made a number of bug fixes reported by our users. 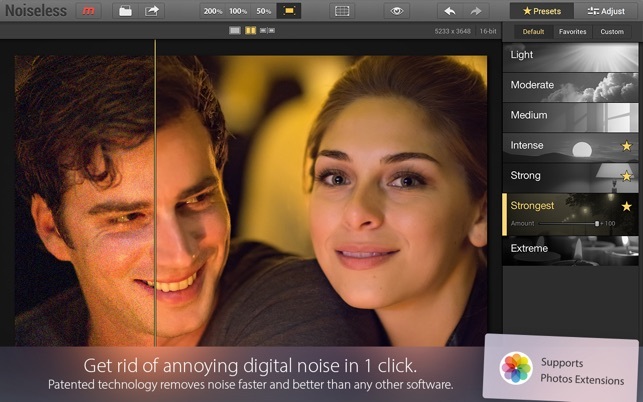 Thank you for using Noiseless for Mac. Allows you to work miracles! I almost didn’t get this app because of some of the negative ratings. I’m so glad I took the chance. This app allows me to work miracles. Most of my photography is concert photos in dimly lit venues. I have to crank my ISO up to 6400 (or more) which gives me a lot of noise. The true power of this app isn't that it irradicates that noise, it’s that you can tweak your photo in other ways with incredible results after that noise is gone. Playing with levels and curves while you have noise can produce some pretty undesirable results. Once that noise is gone, you’re able to take a shadowed figure and pull them out of the void to create a crisp, well lit portrait. For the people worried about the blur, you can actually sharpen that away after you remove the noise and restore the details… probably even sharper than they were in the original photo. And for the record, I wouldn’t want to apply this to only part of the photo, it would likely make the overal tone uneven. It’s pretty much perfect for me just the way it is. Thanks! This app deals very well with skin and low-light areas, but applies the effect to the whole photo whether you want that or not, resulting in loss of detail. Their patented process (which again works very well) apparently includes blurring, which is a commonly used noise-reduction technique in other photo-editing apps. The problem is that there’s no way to select specific areas for processing. I used this to noise-reduce several low-light garden shots. At first glance, impressive, but the effect blurred details in the garden plants. Leaves, twigs, flowers and grass lost their sharp edges. This happens to varying degrees no matter which level of de-noising you choose. The app does a better job of de-noising than even my high-end photo-editing apps, but again, without being able to select, I pretty much can’t use it. One way to fix this without adding a selection tool would be to add a de-noising brush that can be used to process parts of a photo while leaving other parts un-touched. If such a tool were available, I’d use this app more often. The only thing missing is the ability to select areas. Otherwise this is THE best software for removing noise. I am especially impressed with the low-light, grainy photos that can be made useable with this program. 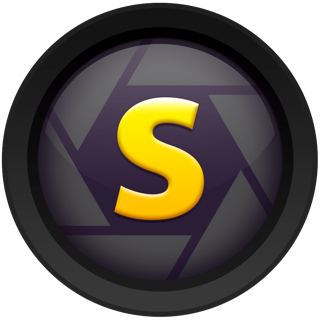 I use this program on 99% of the photos I receive or work on. If the photo is in good shape, a light noise removal makes it even better. Bad shape: this program can often perform miracles. I have not seen any other software that can get rid of those stubborn color speckles on low light photos and still keep the detail intact. Hi Abundant, that is honestly great to hear, because that's exactly what we strive for - power and ease of use. Glad to hear we're on the right track!